UGH! Gorgeous white fluffy snowflakes inevitably turn into grey icky slush. 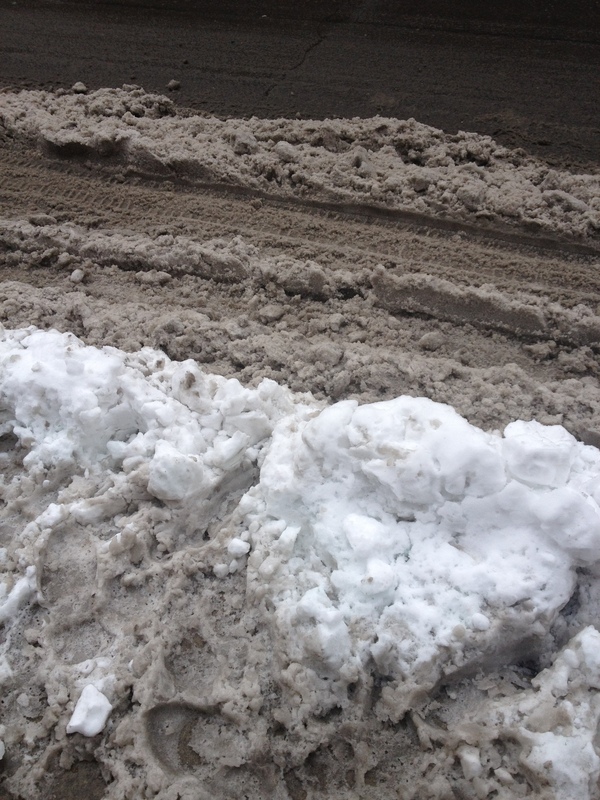 Over the holidays while up in Toronto, my beloved Proenza Schouler’s got accosted by street salt! 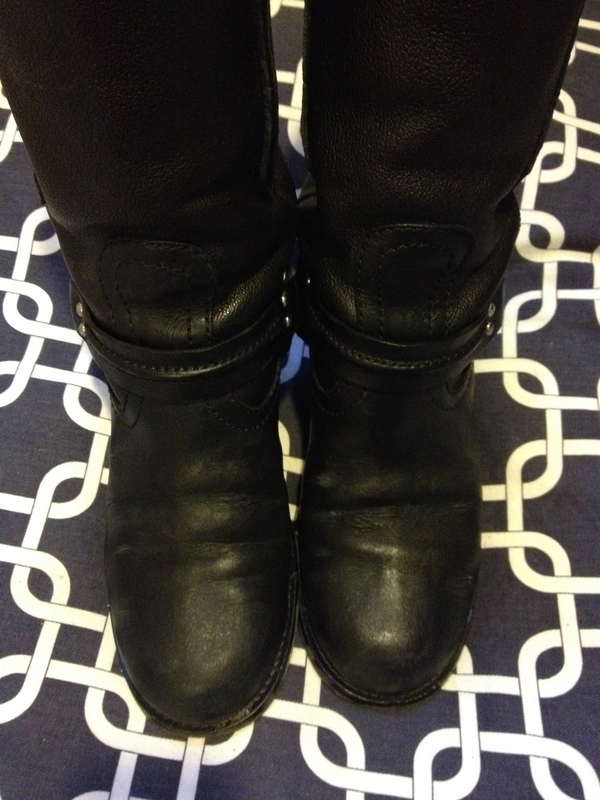 The boot on the left is the “before”. 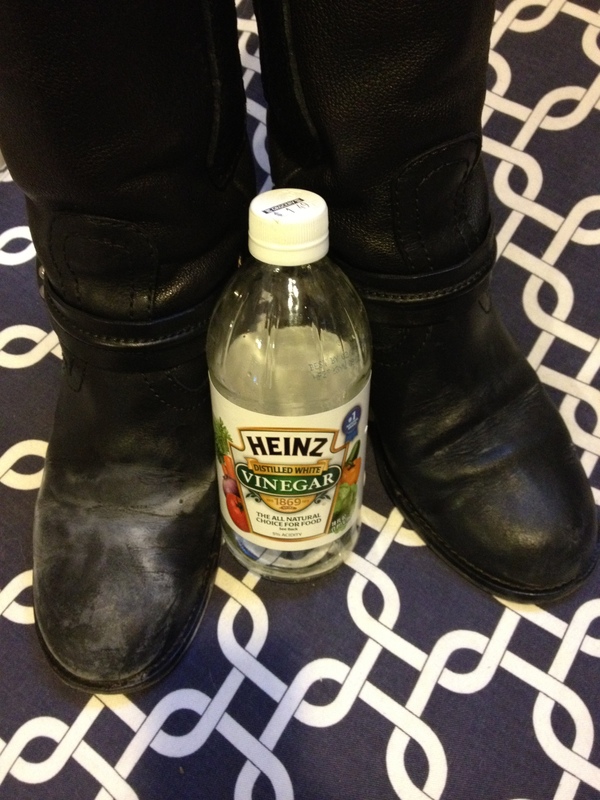 VINEGAR to the rescue! Yup, vinegar. Inexpensive, normally found on fish & chips, vinegar. 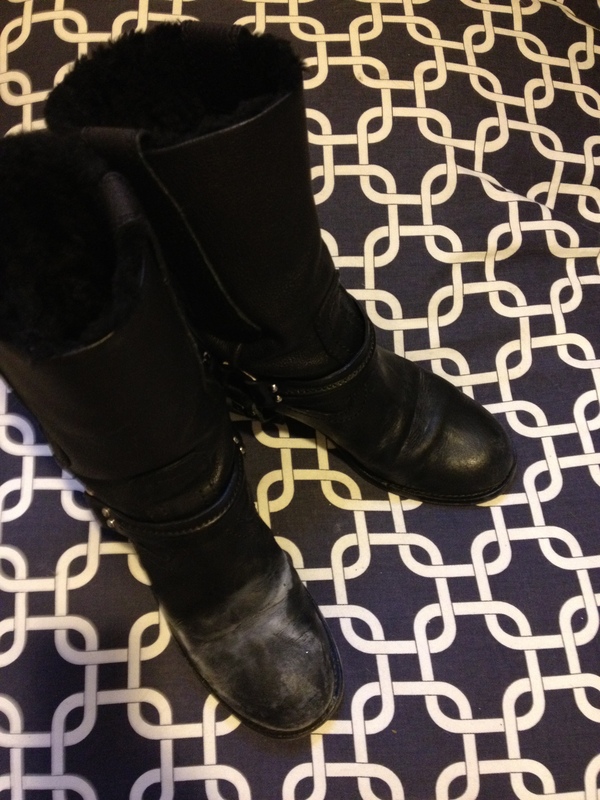 This entry was posted in accessories, Fashion, Shoes, Travel, Uncategorized and tagged Proenza Schouler, ruined boots, salt, Toronto, vinegar, winter slush by reversecommuter. Bookmark the permalink. Hello to you in Snoronto! Glad you like my word – feel free to use it in sentences! How is the yoga so far in 2013? every day 90 minutes ……. PINK is so talented and that body she created is ridunculous. I have not hit the mat yet in 2013 – pathetic. I doubt that was the intended purpose when it was created, just a lucky added role! Maybe, but I am more an oil & balsamic vinegar kind of dresser. Crazy but true – I even gave them to the hotel concierge to arrange a cleaning. When they came back I thought it was the end of my fave boots. Oh wow! Didn’t know! Great tip!